Sam Smith fans get excited!! The British heartthrob singer is back with an all-new album and 2018 North American Tour!! He’ll be hitting the Frank Erwin Center on Saturday 21st July 2018! Whatever you do, don't miss it – tickets are already disappearing fast, so get yours while you can! "My beautiful fans, I am so so excited to finally share this news," Sam Smith said on Instagram, with a post revealing the new album’s cover art. "My second album 'The Thrill Of It All' is yours November 3rd! !” In addition, he revealed the tracklist, including the single "Too Good at Goodbyes,” which topped the charts in the United Kingdom! If the rumors are true, the new album will include some collaborations with Timbaland and Frances in addition to a potential single with Clean Bandit! 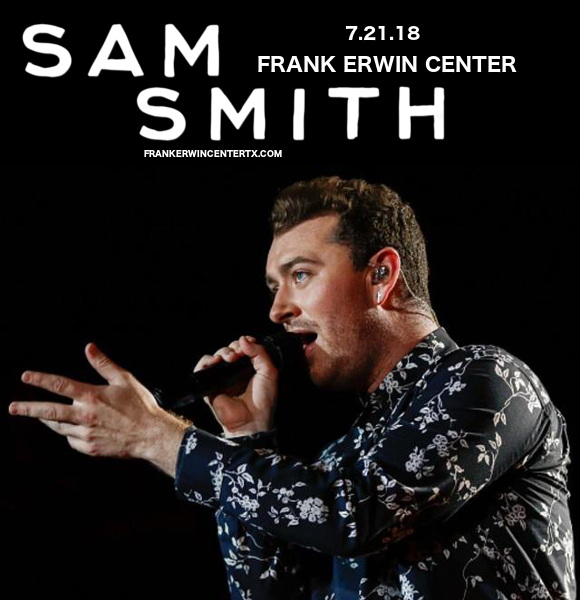 Don’t miss out on your chance to hear all the new songs and the hits live – get your Sam Smith tickets today! !